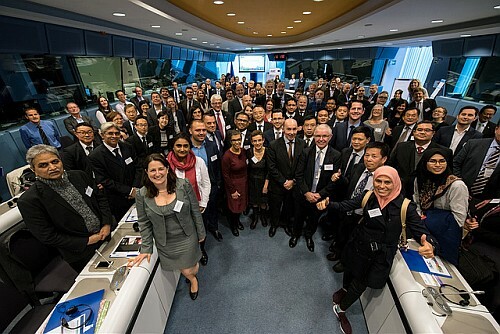 The World Cities visit to the EU was a follow-up activity to the Kick-Off Meeting that took place in Indonesia from 22 – 26 May 2017. 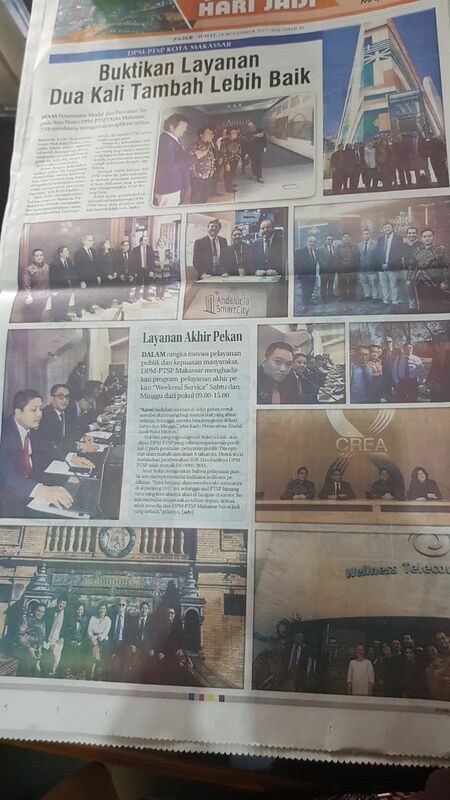 At that occasion, European delegates from the EU project, Zagreb and Seville visited Jakarta, Makassar and Semarang. 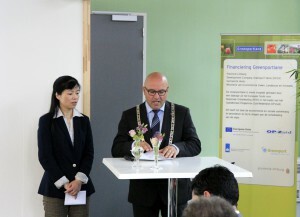 The mission paved the way for decentralised cooperation on issues including urban planning, smart city development, innovation and entrepreneurship. 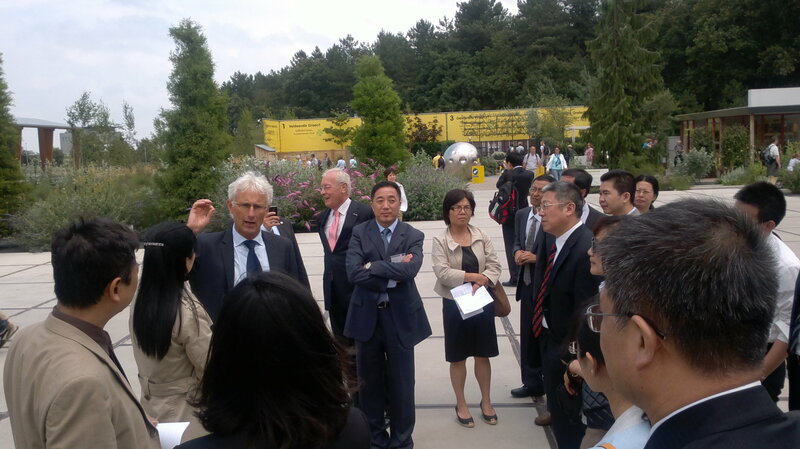 This follow-up visit is part of a series of events that have been developed by the World Cities project. 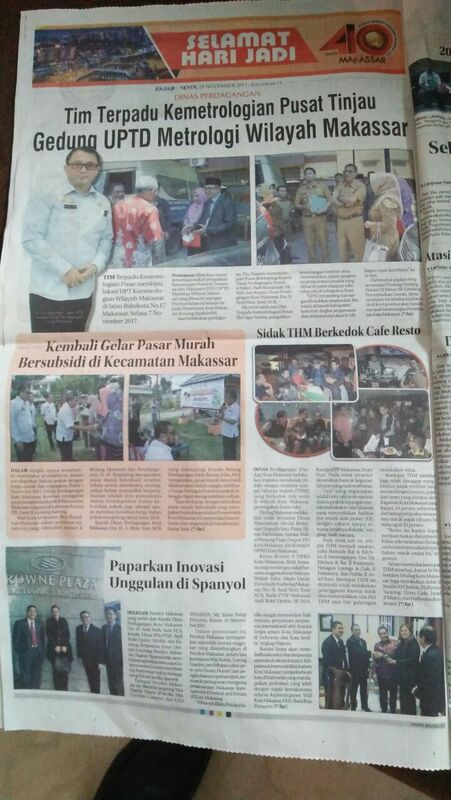 Cooperation with Makassar might be formalised through a memorandum of understanding (MoU). 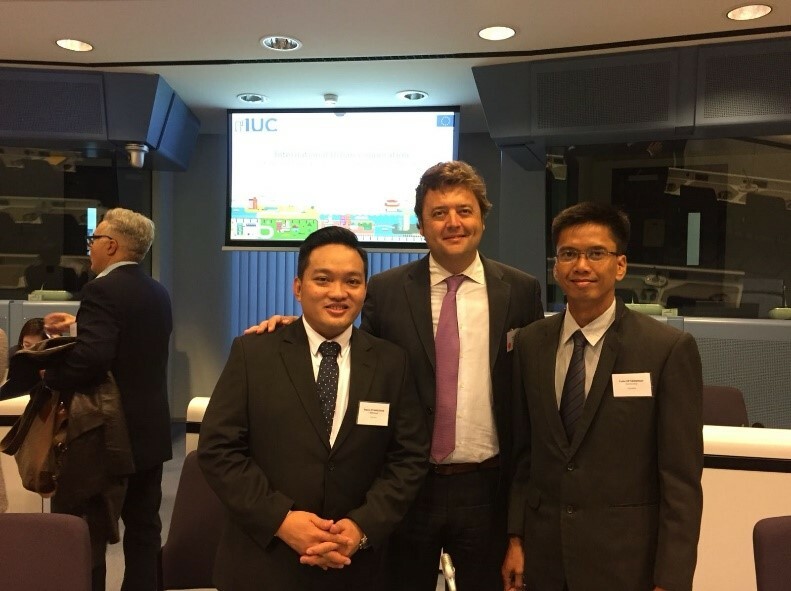 The seminar was the launch event of the IUC programme of the European Union, whose goal is to take immediate action on a global scale to promote a more sustainable pattern of urban development in the economic, social and environmental fields. The programme is also expected to connect cities and regions of Europe with other cities around the world, to share knowledge and learn from each other. Each participating local government agrees to cooperate with their partner city for at least another 18 months, together developing a Local Action Plan that sets out a series of actions to address the established challenges. In this seminar, several speakers from invited cities delivered some programs that have been implemented in their city related to climate change handling efforts. The seminar also provided an opportunity to Semarang City and Makassar City from Indonesia, to provide a brief description of the city and the main issues or issues currently being implemented related to climate change. From Makassar city, we have mentioned that related to climate change, we have done several things, including joining Rockefeller Foundation in 100 RC Programm and preparing document of Regional Action Plan for Climate Change 2010 – 2030 as one of our commitment in handling climate change. 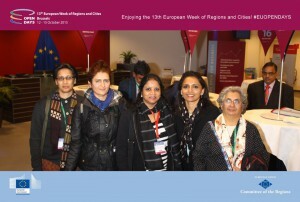 Activity 2 – World Cities Mid-Term Conference and Smart Cities World Expo Congress 2017 in Barcelona, ​​13 – 14 November 2017. 1) Participation at the seminar “World Cities: Innovation for Smart and Green Cities” on Monday, November 13th, 2017. This seminar provided the opportunity for cities from several developing countries in Asia as well as South Africa to explain some policy developments in their cities as well as some issues that might become topics for cooperation with cities in the European Union as a follow up of those that have been dial earlier (for the City of Semarang and Makassar it was a follow-up event in May 2017). On this occasion, Semarang City explained some things related to the vision and mission of Mayor and Vice Mayor of Semarang for the year 2016-2021 and some things that are and will be implemented, especially related to city planning management, flood and tied handling, smart cities development, and development of creative industries and SMEs. 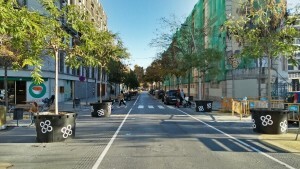 The purpose of this program is to combine existing building blocks, an average of nine blocks, into a superblock area that aims to create open space for the wider public especially for pedestrian and public facilities such as sitting group or playground, with reducing lanes for private vehicles, public transport and on-street parking areas. 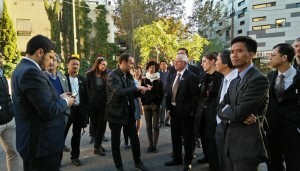 The program is not fully approved by the residents and managers in the superblock complex but is still implemented because the city government has a strong commitment to reduce emissions and provide comfort for the occupants of the superblock, providing a wider public space and providing space for bicycle users. 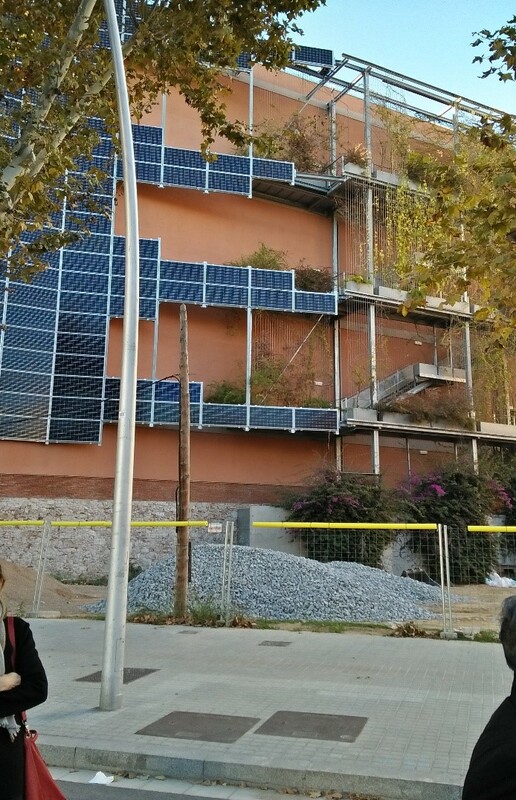 Explanation of the superblock development project in the City of Barcelona. 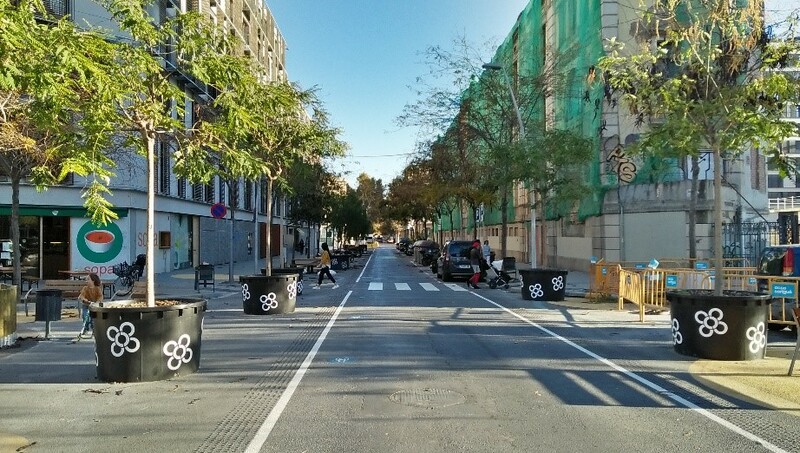 Reduction of 4 or more wheel lanes into only one lane and utilization for public spaces and greening. 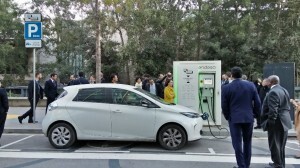 Commitment in the application of smart cities and carbon emission reduction among others implemented by the City Government of Barcelona by applying electronic parking and also provides several battery charging places for electric cars with accompanying incentives for its users. 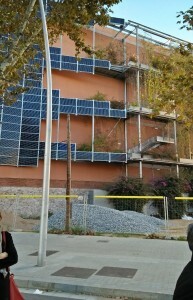 Other programs is to utilize solar energy to meet the electricity needs of some apartment buildings. 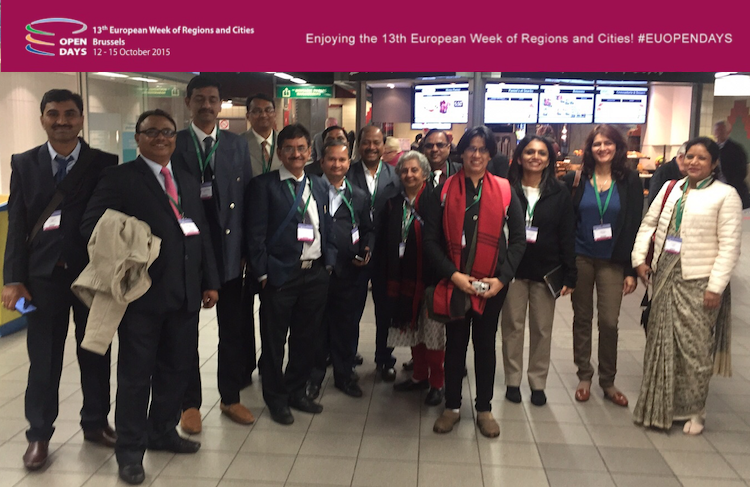 2) Attended the “SMART CITIES WORLD EXPO CONGRESS” expedition on Tuesday, November 14, 2017. 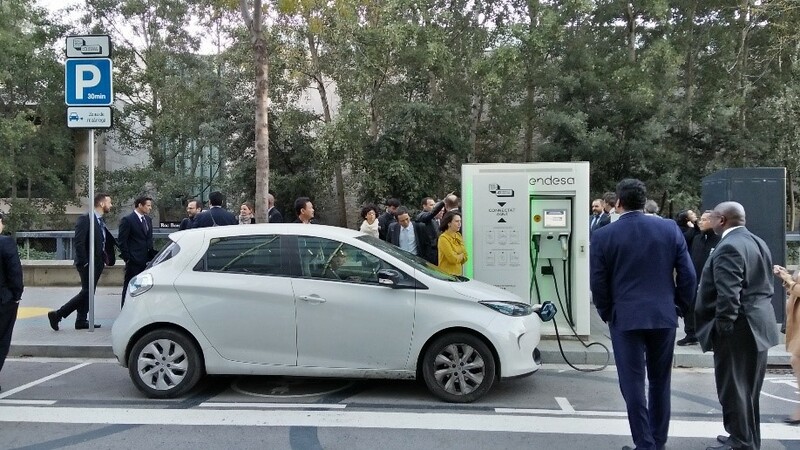 In this exhibition there are several representatives from municipal governments, private and NGOs involved in the implementation and development of smart cities, both at the regional level of the European Union and around the world. 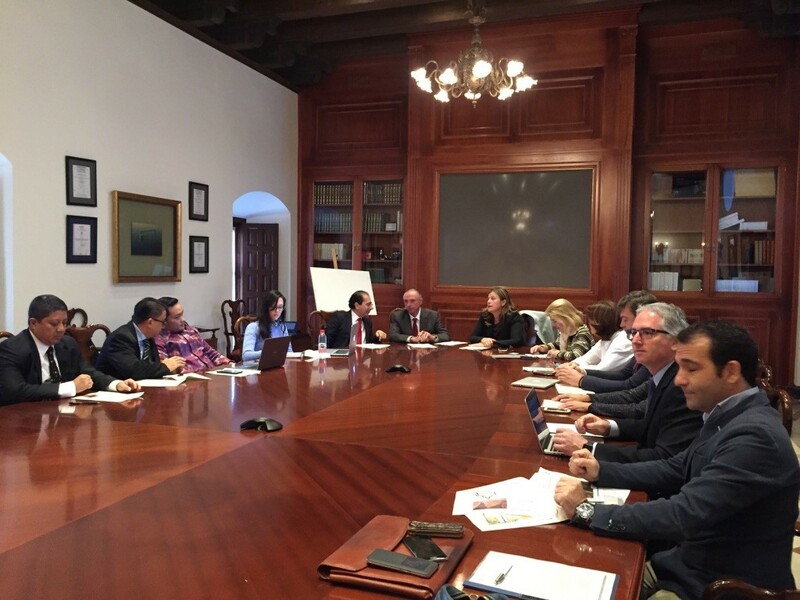 During this 2-day working visit, we were received by Seville First Deputy Mayor at the Seville City Council and heard a presentation about the City of Seville. 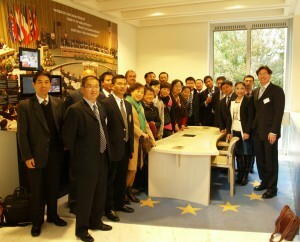 Afterwards, the delegation visited the Metropolitan Water Supply and Sanitation Company (EMASESA). 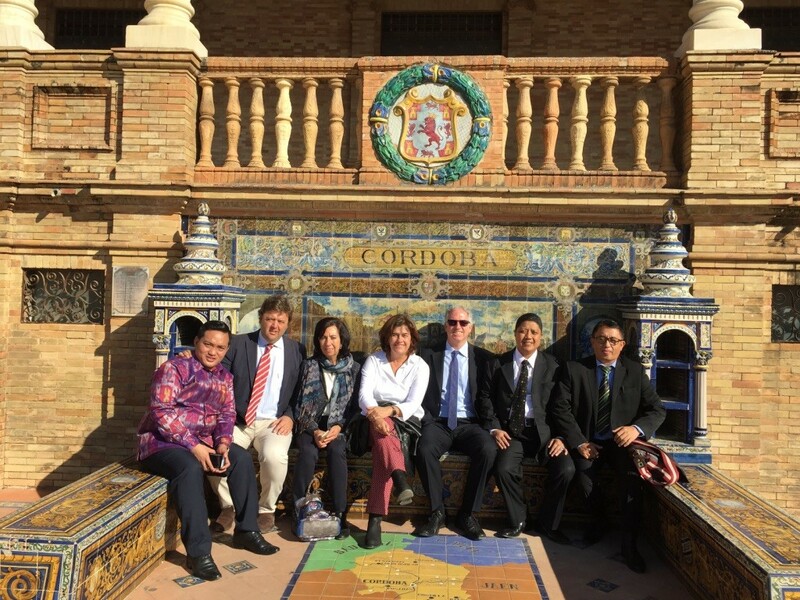 The delegation then visited Plaza de España, built for the Ibero-American Exposition of 1929, illustrating all Spanish Provinces, and recently refurbished, where Makassar has been inspired to promote their own cultural heritage. Following trips were to the a water treatment and recycling waste facility. 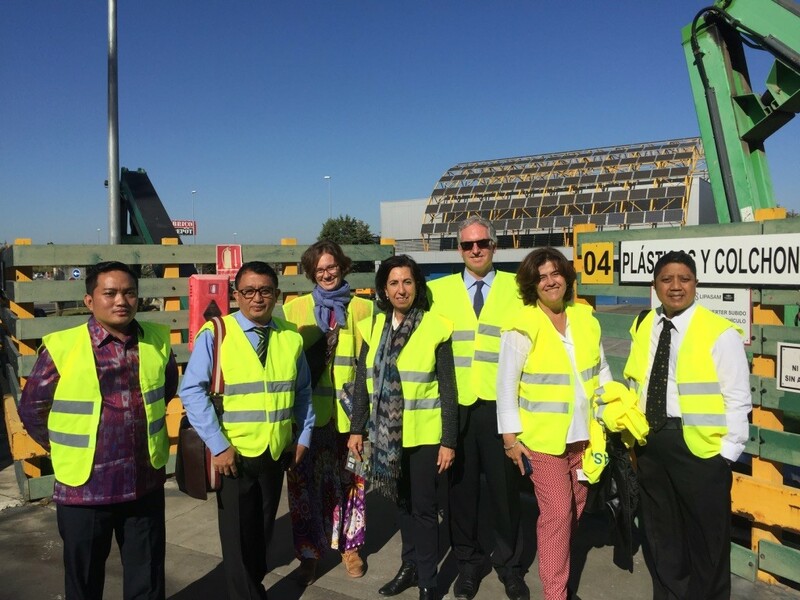 Makassar has expressed interest in cooperating with Seville to enhance its own waste management operations. 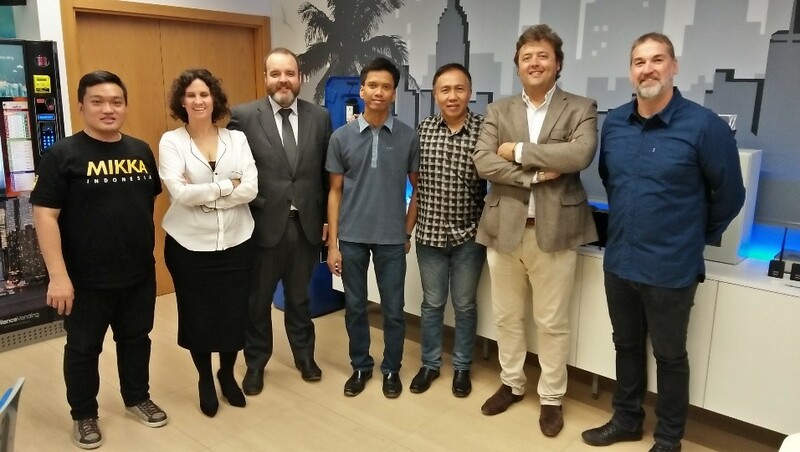 On this occasion, Semarang delegates visited the Smart City Manager’s Office in Malaga City, Spain and looked at some of the tools and applications that have been implemented for municipal management, such as tsunami early warning tools, LED street lighting controllers, the drinking water meter already integrated with the amount of bills to be paid, and the sensor on the waste container as a container indicator that is full and must be transported. 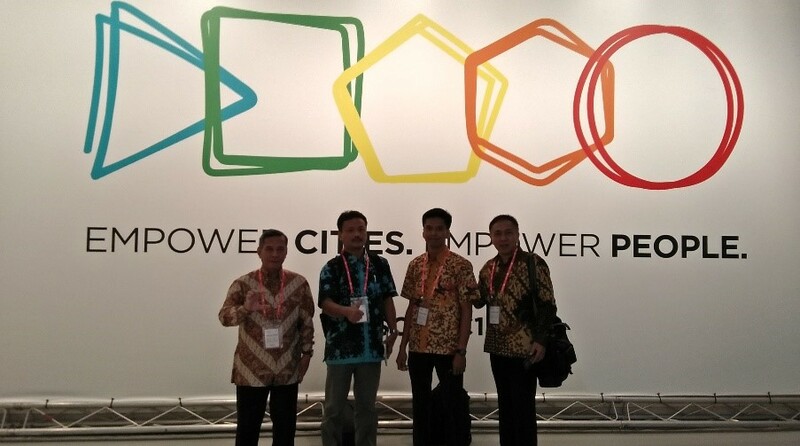 The following day, Makassar delegates were actively involved in Smart Cities Seminar which is a series of Smart City Expo. 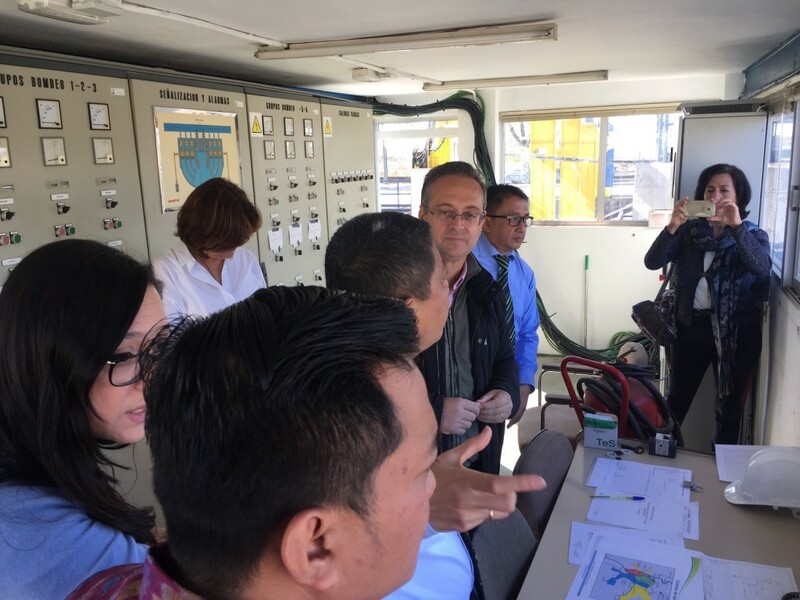 On this occasion, Semarang delegates explained the Masterplan Smart City which has been prepared by Semarang City and the strategy to transform Semarang City into a smart city. Makassar delegates then traveled to Seville to participate at the 1st edition of Seville’s Mayors Forum. 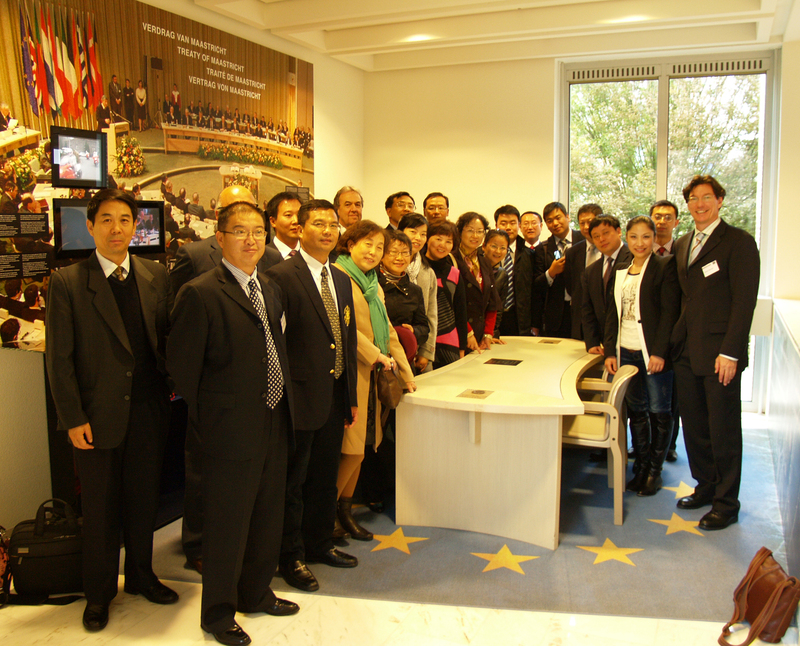 Meetings started with a joint dinner between the Mayor of Sevilla and delegates from cities in Asia, Africa and the European Union involved in the World Cities and IUC projects on November 22nd, 2017. 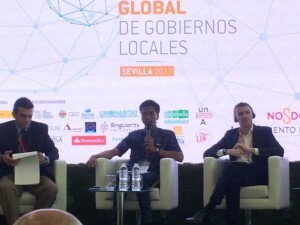 The 1st Global Local Government Event was opened on November 23rd, 2017. 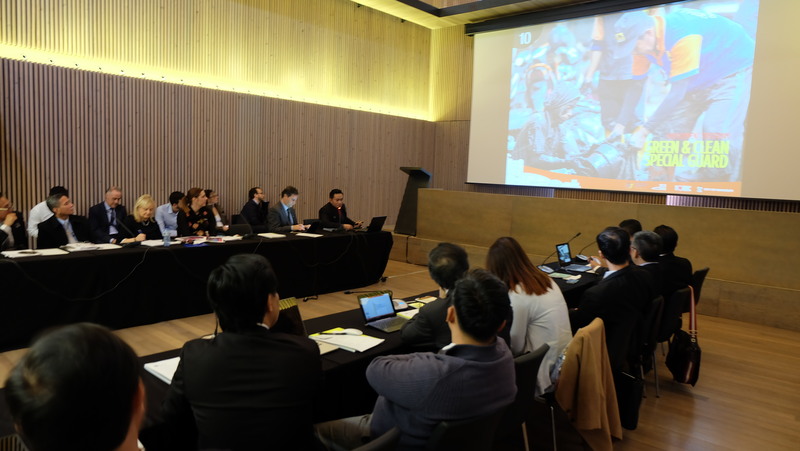 On this occasion, delegates from Makassar and Semarang City were able to present their urban development strategies and to interact with several other cities. 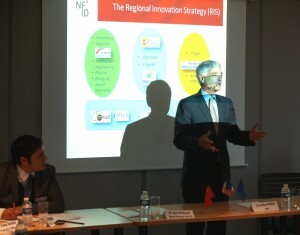 Below an impression of a panel discussion on urban management and smart cities. The series of events was then concluded with the signing of MoU cooperation between the Mayor of Sevilla with delegates from the cities in attendance. On this occasion, the City Government of Semarang has not signed the MoU because the Mayor of Semarang is not present and we as delegates do not have the power to sign documents including the MoU. 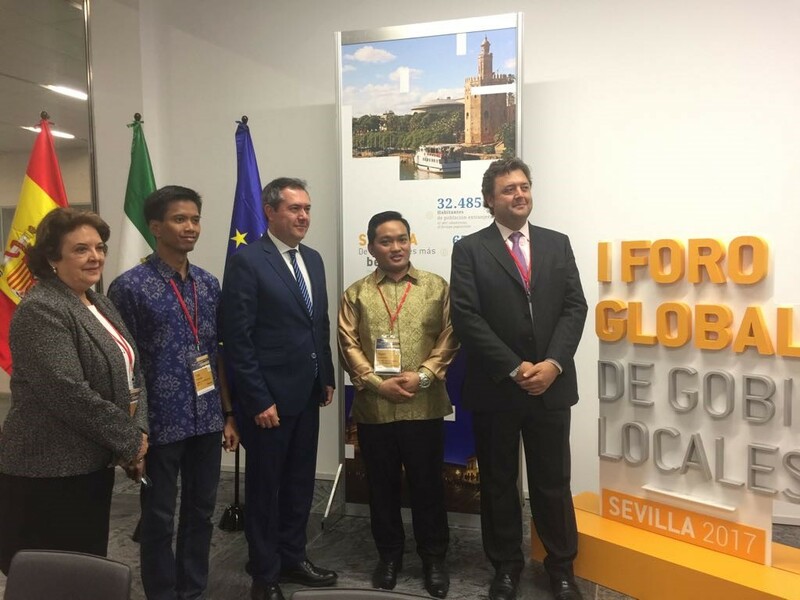 Makassar representative with the Mayor of Seville, Deputy Mayor of Sevilla, and a delegate of Semarang City. Some of the topics in the MoU are the handling of issues in Sustainable Development Goals (SDGs), as well as matters to be co-operated between urban parks such as parking handling, urban planning and structuring, MSME development and tourism, especially tourism of old and historic buildings. On this occasion the Mayor of Sevilla said that he would invite back the Mayor along with the legislature to be able to follow up the draft of the MoU and to see firsthand what has been done by the City of Sevilla on the issues that become the topic of the MoU. 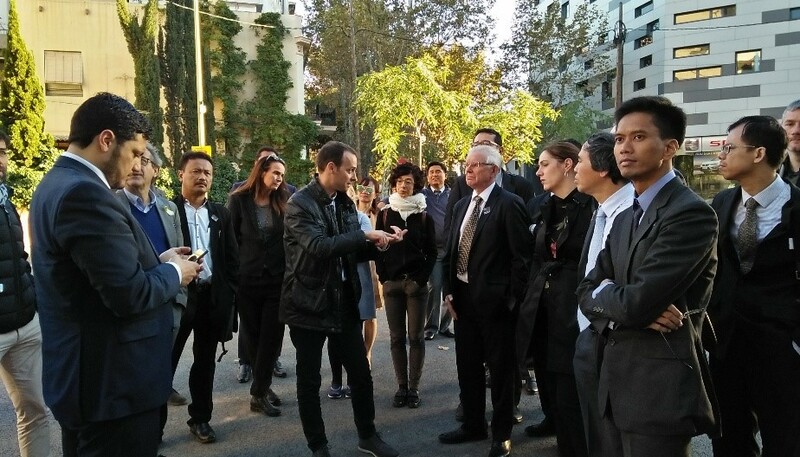 Determining what issues will be the part that will be collaborated between Semarang City Government and Zagreb Municipal Government, Croatia which is planned to be signed in March 2018. 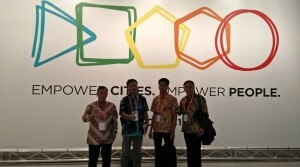 The discussion on the MoU draft will soon be initiated by both cities with facilitation from the World Cities Program considering that the MoU discussions in Indonesia require the involvement of the Central Government.